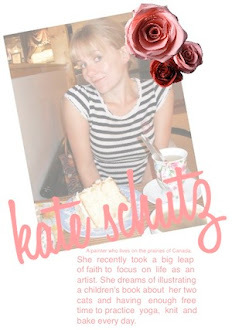 The creative community in Calgary is full of some pretty incredible women and I think I will use my blog to pay tribute to some of them every once and a while. Starting off with Nyla Free of Nyla Free Designs who hads been so supportive of my work, especially considering I only recently met her. She is an interior designer, a blogger and a contributor to Dabble Magazine. She is the force behind Design In A Box which is a brillant concept for the design-challenged or for those of us who just need a little help in the right direction with our own DIY projects. Thanks so much to Nyla for featuring me as an artist profile on her blog. Check it out!